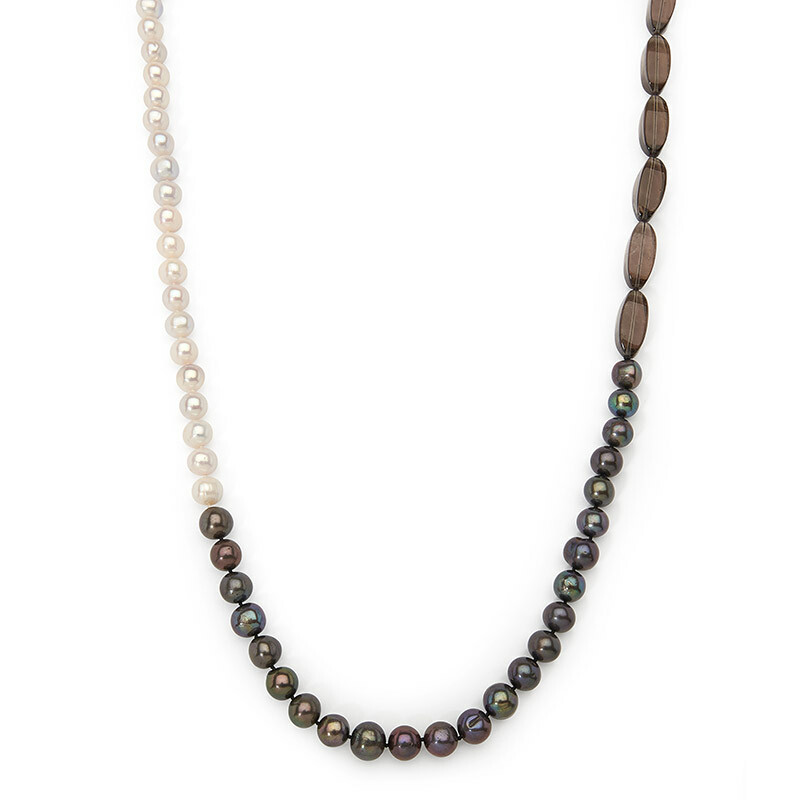 Featuring elongated faceted smoky quartz this necklace combines a multitude of shiny black and white fresh water pearls. Designed and carefully handmade in our Highlands studio, this contemporary take on the classic pearl necklace can be worn layered around your wrist as well as your neck. Please note: as we don’t mass produce, this is a one off product.